To create Blu-ray disc yourself with HD videos like camcorder recordings is an amazing thing, and you can watch the self-made Blu-ray videos with a Blu-ray player on your TV. How to get home-made Blu-ray content onto a mobile device like an iPad Air? Like other tablets and phablets, iPad can’t read Blu-ray data. So the only way to watch self-made Blu-rays on an iPad is to rip them to MP4, MOV, or M4V which are the file formats highly supported by iPad. 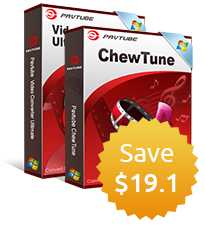 The Mac Blu-ray to iPad converter, Pavtube BDMagic for Mac means a lot for it can rip all your self-made Blu-rays to iPad supported video formats. How to watch self-made Blu-rays on iPad? 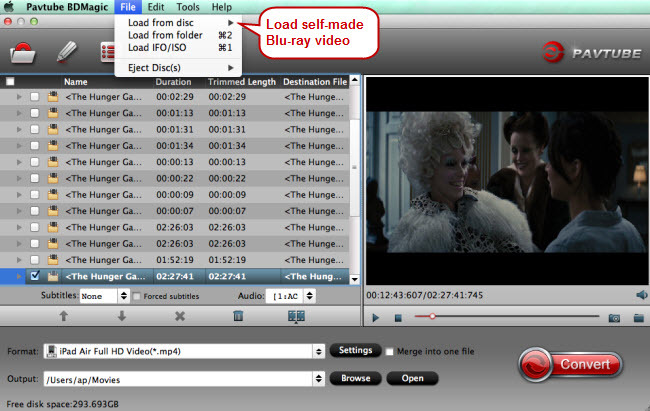 Launch Blu-ray to iPad converter for Mac and click “File” to import home-made Blu-ray video. 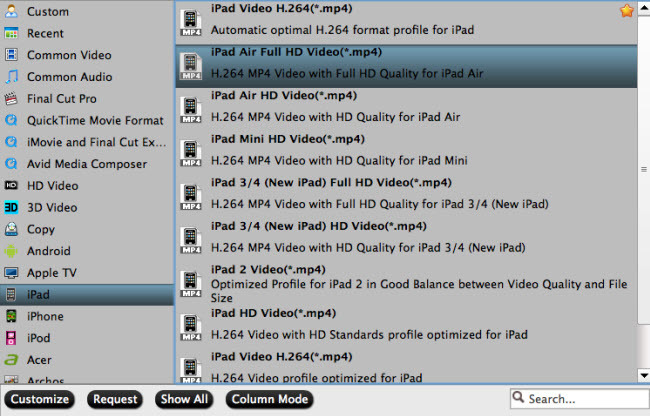 Target MP4, MOV or M4V as output format because these video formats are also compatible with iTunes. Click the format bar to follow “iPad” ＞ “iPad Air Full HD Video (*.MP4).” Choose other formats under “iPad” option according to your iPad generation. Popular mobile devices like iPhone 6 and Galaxy Note 4 also support Blu-ray enjoyment as long as you have a Blu-ray ripper at hand, and Pavtube has added new output formats related to iPhone 6 and Note 4. Click on the red button “Convert” to realize conversion from self-made Blu-ray to iPad. iTunes has been a popular syncing method for quite a long time. Just connect your iPad to computer and using iTunes to transfer the ripped self-made Blu-rays to iPad.